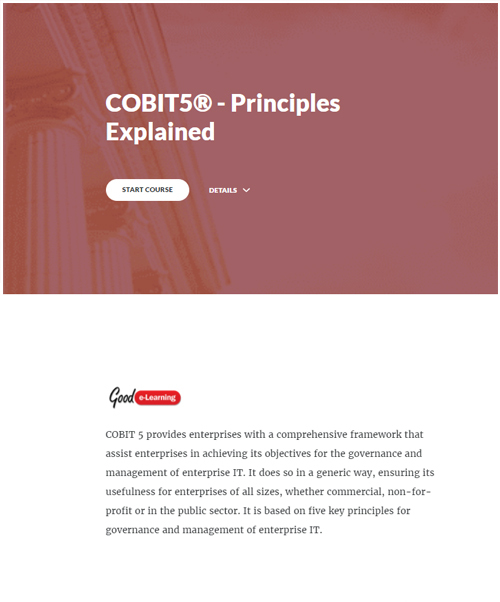 COBIT 5 provides enterprises with a comprehensive framework that assists enterprises in achieving its objectives for the governance and management of enterprise IT. It does so in a generic way, ensuring its usefulness for enterprises of all sizes, whether commercial, non-for-profit or in the public sector. It is based on five key principles for governance and management of enterprise IT. If this COBIT 5 resource interests you, why not view our COBIT 5 Foundation course. Or view our full library of downloads covering a wide range of subjects and domains!